CLEVER CORNHUSKERS? Mike Riley a Placeholder for Scott Frost? Full disclosure: I moved to Nebraska in 2016 to marry my wife Debra. My mom was born and raised in Nebraska and was a Big Red fan; but I never lived here and had only an occasional interest in the Huskers. The “Agony“? The Mike Riley Years, Of Course. By the end of the 2014 season, Nebraska’s previous coach Bo Pellini had won nine or ten games each season. He wasn’t a poor coach; but he never broke through and that wasn’t good enough for Nebraska’s national title ambitions. Plus, Nebraska fans pride themselves on being “nice” and Pellini’s obscenty-laced tirades were embarrassing. He was fired and Nebraska began searching for a “non-Pellini” replacement. 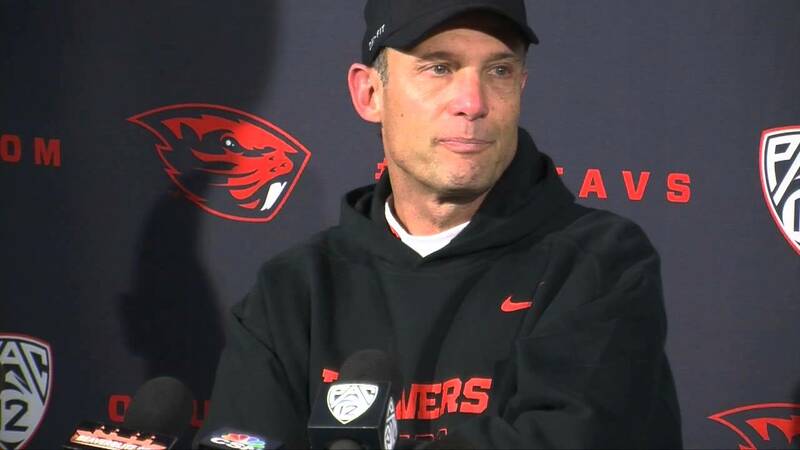 So, in came Oregon State’s gentleman Mike Riley, a football scholar and elder statesman among coaches. When Riley was hired, I was dumbfounded. Nebraska fans weren’t exactly sure what to expect; but many were unsettled. The state was perplexed. Riley’s win-loss record was cause for concern. NU Athletic Director Shawn Eichorst tried to soothe concerns, stressing that Riley was an excellent strategist, had a masterful understanding of the game, was superb with young athletes, never had the resources to work with like he would at NU. Blah, blah, blah. To me this sounded incredibly naive, if not disingenuous. Excellent coaches find a way to win and poor coaches find excuses for not winning. To me, viewing him through the lens of Oregon Football, Mike Riley seemed an outstanding person, but a mediocrity as a football coach. Even worse, while his personality was the opposite of Bo Pellini’s explosive temperament, there seemed to be a submissive, milquetoast aspect to it. Not at all the quiet but commanding self-assurance of a Tom Osborne. 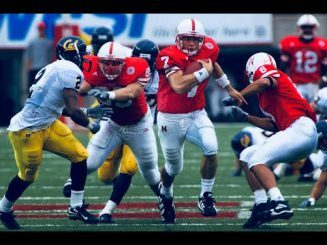 As I was attending games in Nebraska’s Memorial Stadium when Riley was coaching, there seemed to be an odd quality in the air and among fans, as if something wasn’t quite right. Perhaps as a premonition, in Riley’s first game as Nebraska head coach, BYU stunned the crowd with a 50-yard Hail Mary pass in the final second to win the game. It seemed to me that the NU administration had read Mike Riley completely wrong. Then I started thinking: Or had they? Had they understood exactly what they were getting in Mike Riley, and was he just what they wanted? A quiet, respectable, trouble-free person who would produce mediocre results without embarrassing the University? Could there be an advantage in this? Frost led Nebraska to the NC in 1997.
coaching experience. That might take two to three years minimum. Besides, Frost had been discreetly approached about his interest in the Nebraska job and he indicated he thought he would need an administration he could work with (i.e. not the current NU AD). So, what to do? Hmmm … maybe plug in someone who was moderately capable, respected in the profession, would represent the university admirably, work well with student athletes and, most importantly, produce mediocre results for which he could be plausibly fired at virtually any time? Bingo! Mike Riley! Maybe the NU administration and football boosters were far craftier and more astute long-range planners than we realize. Maybe they were laying the groundwork for bringing in Scott Frost years before he arrived. Or, is this just my speculation? The “Ecstasy”? 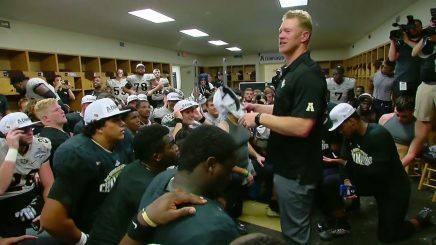 The Triumphant Return of Scott Frost! Halfway through Riley’s disastrous 4-8 season in 2017, Nebraska fans were already ablaze with speculation about Scott Frost. Even early on, after Nebraska barely beat Arkansas State and then lost to both Oregon and Northern Illinois, the Scott Frost talk spread like a prairie fire across the state. It was the #1 topic of conversation on TV, radio, newspapers, everywhere. As Frost’s UCF team kept winning, Riley’s NU team kept losing, and Riley kept mumbling through one innocuous post-game excuse after another. The state plunged deeper and deeper into despair over the Cornhuskers. Frost coached UCF to an undefeated season in 2017. The difference between what was and what could be seemed huge and, yet, easily bridgeable. Bringing Scott Frost home turned from speculation to obsession to inferno. It seemed everyone in the state joined the conversation and had an opinion. Women’s eyes sparkled when Scott’s name came up (He’s soooo handsome and strong!). Men came alive when talking about him, recognizing him as a born leader and winner. Sports radio talk shows were incessantly focused on Scott. You could go almost anywhere and talk to almost anyone about Scott Frost returning. Joan of Arc cannot have inspired more passion for her return to “La Gloire Francaise”. Then, in mid-season 2017, NU Athletic Director Shawn Eichorst was fired and Bill Moos, formerly AD at Oregon, was hired as the new NU AD. The connection seemed in place. Most Husker fans anticipated that Mike Riley would be fired next, and the giddy Frost-speculation ratcheted up to a new intensity. Talk radio was postulating one scenario after another that would bring Scott to Nebraska. Almost everyone assumed it would be a done deal. That perhaps it could be God’s will, cosmic intervention. Nothing else made sense or could even be contemplated. To not have The Golden Boy return was too terrible a possibility to even mention. It had to be. 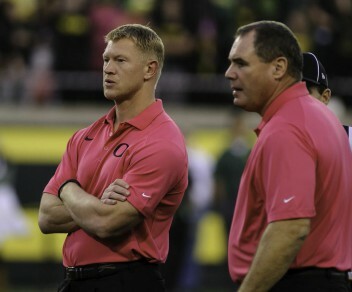 Frost saw success as an assistant coach and offensive coordinator at UO. To me as a Duck, the Scott Frost mania was oddly gratifying. Hadn’t Scott spent seven very successful years with Oregon, attaining national rankings for his offense, calling plays for a national title finalist, and helping groom a Heisman Trophy quarterback? To me, Scott Frost was part Duck. I knew he was a good coach. After Riley was finally, mercifully fired at the end of the 2017 season, the nail-biting began in earnest among Husker fans. 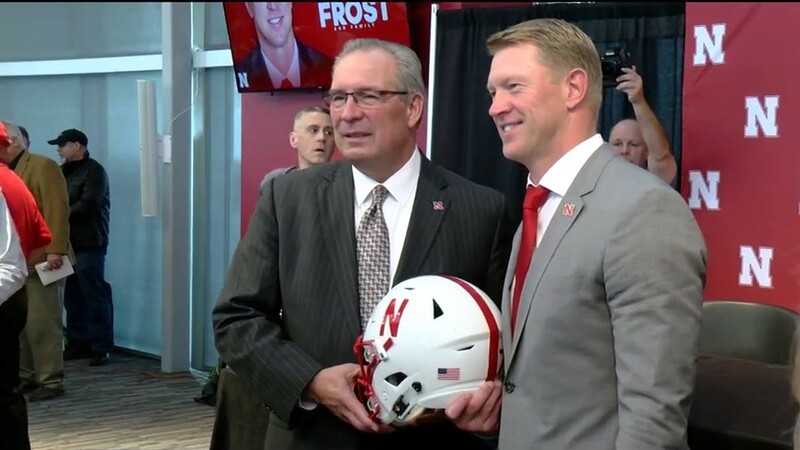 Tales of secret meetings between Bill Moos and Frost surfaced. Rumors spread. Multiple colleges wanted Scott Frost. People talked breathlessly about details of what were assumed to be negotiations. Every word, every nuance was dissected. The entire state zeroed in on Orlando and what was happening at UCF. And then, BAM! It happened faster than anticipated! After UCF won their conference championship, Scott announced he was accepting the Nebraska job. “Miracle de Dieu!” Ecstasy! An incredible new day dawned across the state of Nebraska. Golden Boy Scott was coming home. Oh, the joy, the profound joy! 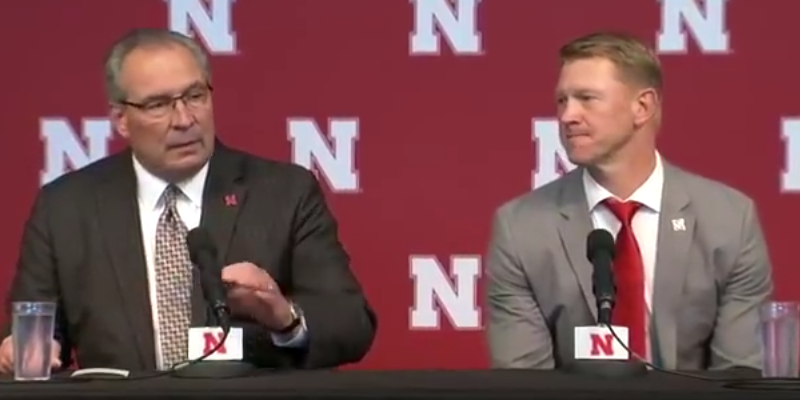 Frost introduced as Nebraska HC. Scott Frost returns home as a conquering hero, and why not? He led one of the finest turnarounds in college football history. In two years, he took a win-less team and led them to a perfect 13-0 season with a plausible claim to the National Championship. After all, UCF beat Auburn in the Peach Bowl. And Auburn beat both National Title Game teams, Alabama and Georgia. The expectations among Husker fans are now sky high, and Scott has done nothing to dissuade them, even as their expectations are tempered by the reality of how coaching changes could slow the team’s progress in 2018. The NU 2018 Spring Game completely sold out (80,000) in 36 hours, with some tickets going for $500 each. It remains to be seen whether this former Duck can bring Nebraska back to their National Championship days of yore, but there’s no denying he’s already having a major impact. NEXT: “Who will Blend Oregon Speed Tactics with Brute Force Sooner & Better? Scott Frost or Mario Cristobal?